Osteoporosis, or bone loss, is not painful, meaning it is often detected too late. "Most patients aren't aware of it until they've fractured a bone," noted Catharina Bullmann, an endocrinologist in Hamburg. Vitamin D is a component of osteoporosis therapy. Heatedly debated at present is whether it should also be taken as a precautionary measure and, if so, in what dosages? Vitamin D deficiency has been linked to conditions such as diabetes and cardiovascular disorders as well. Scientists are now trying to substantiate the links. Experts say that only one in five osteoporosis patients is diagnosed and treated promptly. Early detection and treatment can significantly reduce the number of osteoporosis-related bone fractures, said Michael Amling, director of the Centre for Biomechanics and Skeletal Biology at Hamburg-Eppendorf University Hospital. Because oestrogen levels drop at menopause, older women, in particular, suffer from porous bones, which is what osteoporosis literally means. Other risk factors include a sedentary lifestyle, excessive alcohol consumption, being underweight and taking corticosteroid medications. Osteoporosis can be diagnosed with a bone density test along with a blood test. To build bones, the body needs calcium. 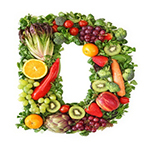 Vitamin D, which is a hormone precursor, helps the absorption of calcium from food. Vitamin D is found in fatty fish such as herring and produced by the body from the UV-B band of ultraviolet rays of sunlight. Newborns are given vitamin D to prevent rickets, a disorder that leads to softening and weakening of the bones. In some places, for example the United States and Scandinavian countries, foods such as milk are enriched with vitamin D.
In early 2010, British researchers published a review of studies, focused on nearly 100,000 middle-aged and elderly participants, comparing vitamin D levels in the blood with the propensity to suffer from cardiovascular diseases, type 2 diabetes and metabolic syndrome, a cluster of conditions including excessive weight, high blood pressure and elevated levels of blood lipids and sugar. They found that people with higher levels of vitamin D were half as likely to have type 2 diabetes and metabolic syndrome, and a third as likely to have a cardiovascular disease. Authors of the review, headed by Oscar Franco, assistant professor of public health at Warwick Medical School, concluded that targeting vitamin D deficiency in adult popupations could potentially reduce the number of widespread cardiometabolic disorders. They added, however, that a causal relation between vitamin D and lower risk had to be established before recommendations could be made. According to Bullmann, it remains unclear whether vitamin D deficiency fosters the development of cardiometabolic disorders or results from them. "But there could be completely different reasons," she remarked. Helmut Schatz, spokesman of the German Society of Endocrinology, said that vitamin D supplements should be used judiciously and were medically advisable only when additional risk factors for osteoporosis were present, such as advanced age and danger of falling, or diminished bone density. The Institute of Medicine (IOM), an independent, non-profit organization based in Washington, DC, recently said that a vitamin D blood level of 20 ng/ml was sufficient for sound bones in most people. Amling disagrees -- he believes a level of 30 ng/ml is desirable. Amling cited a study of 675 patients from the northern part of Germany, 60 per cent of whom had vitamin D levels under 10 ng/ml. "Oftentimes people simply lack sufficient sunshine. So they've got to get vitamin D from somewhere else," he said. The vitamin D debate is likely to continue for a while. The DVO (Dachverband Osteologie), the umbrella organization of scientific societies in Germany, Austria and Switzerland focusing on bone research, currently recommends 800 to 2,000 international units (IUs/20 to 50 micrograms) of vitamin D together with 1,000 mg of calcium daily in cases of osteoporosis. Experts advise people to consult a physician before taking higher dosages because of potential side effects.